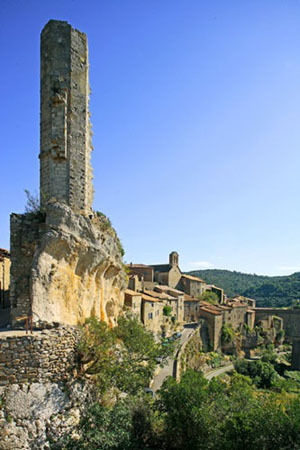 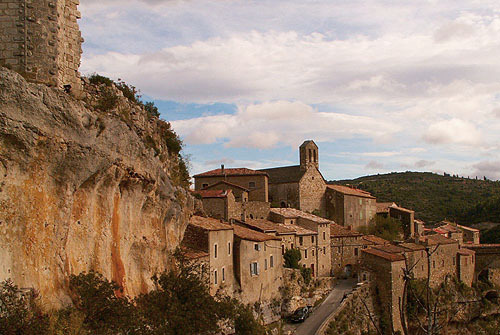 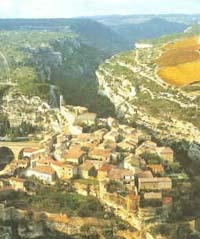 Minerve (Occitan: Menèrba) is a commune in the Hérault département in Languedoc-Roussillon in southern France. 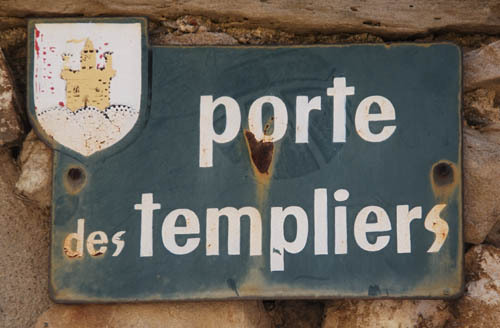 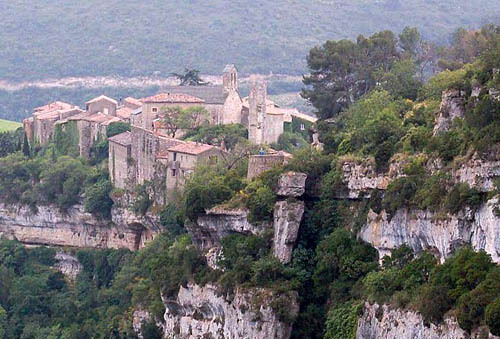 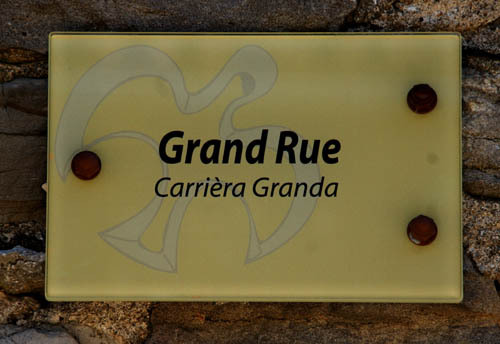 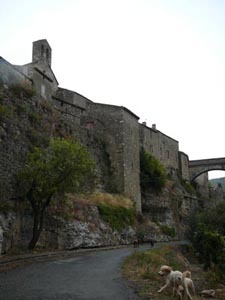 It was the site of a ten week siege by Simon de Montfort during the Cathar Crusades, after which some 180 Cathars were burned to death at the insistence of Catholic Church leaders. 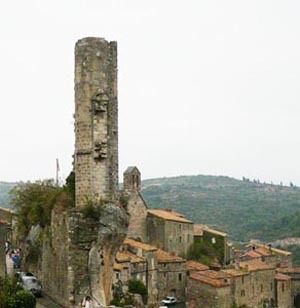 The village was protected by a double curtain wall, and overhanging natural ledges; but this did not stop Simon de Montfort's crusader army. 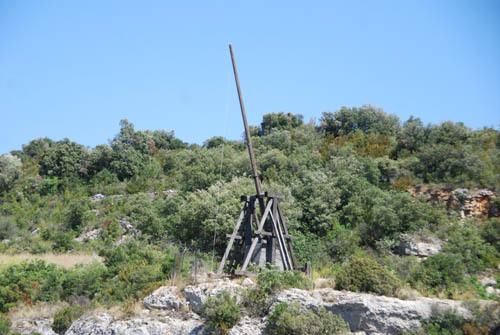 They set up four catapults around the fortification in 1210: three to attack the village, and the largest, called Malevoisine ("Bad Neighbour"), to attack the town's water supply. 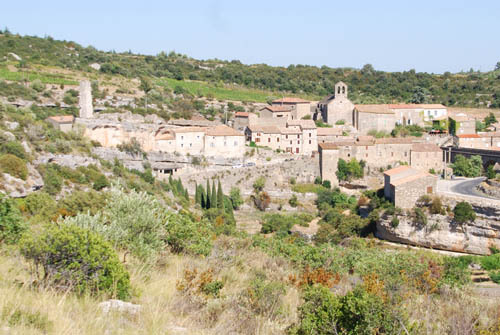 Viscount Guilhem of Minerve and the 200 men of his garrison could not resist for long. 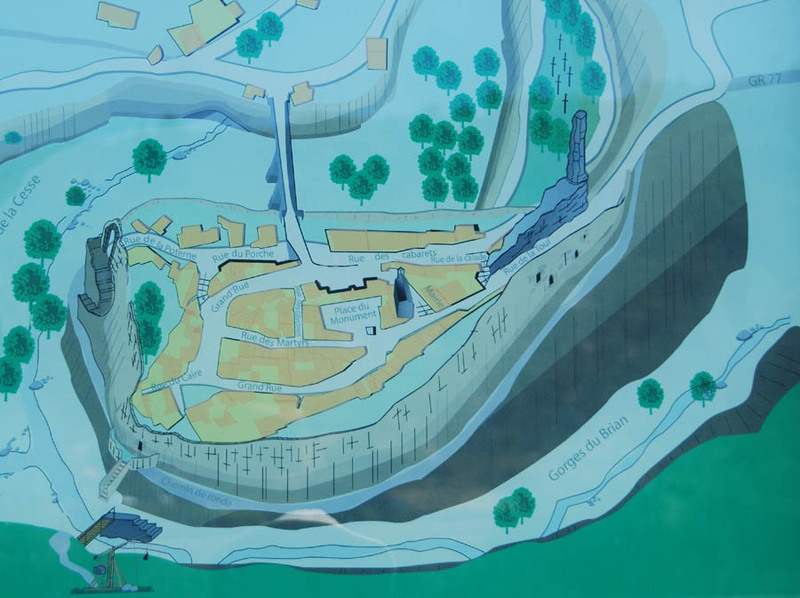 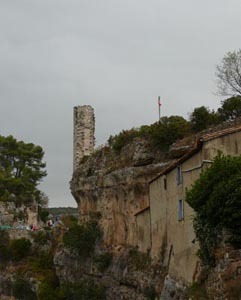 The defensive walls were breached by St Rustique's well, and Guilhem was obliged to negotiated the town's surrender. 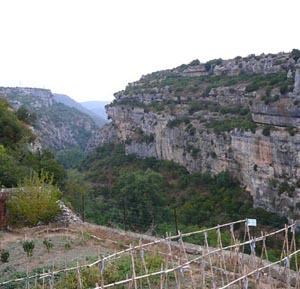 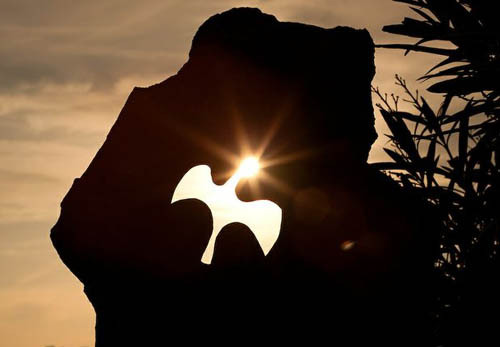 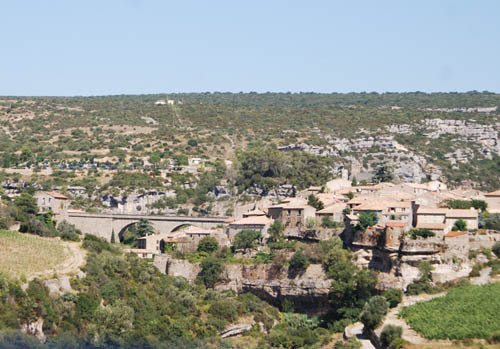 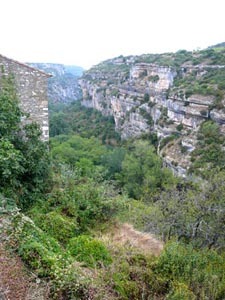 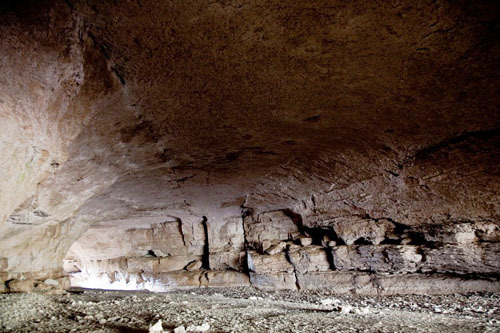 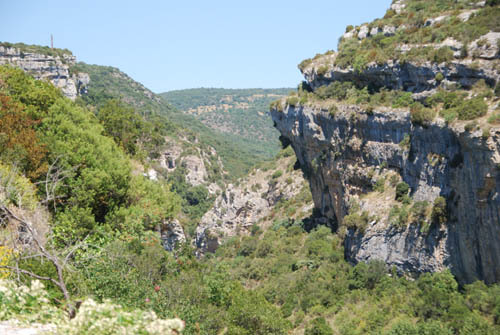 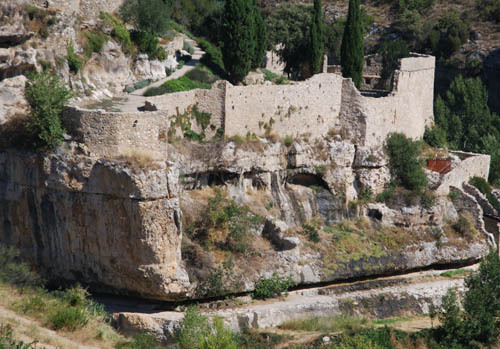 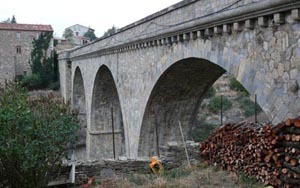 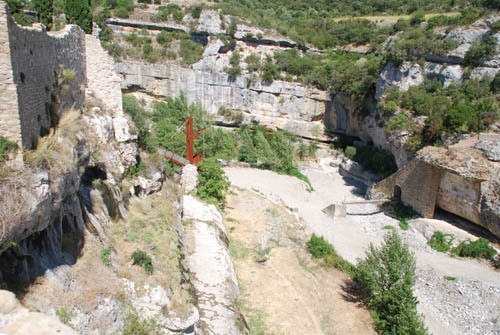 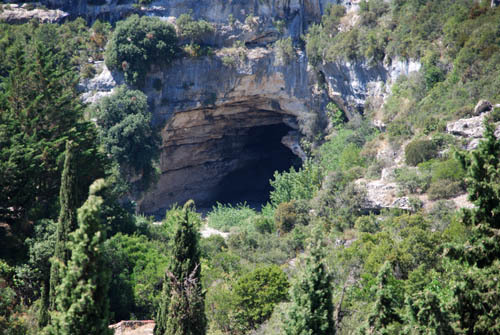 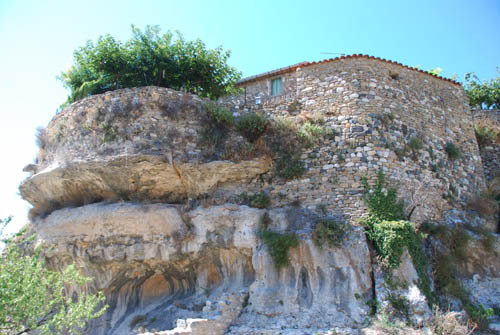 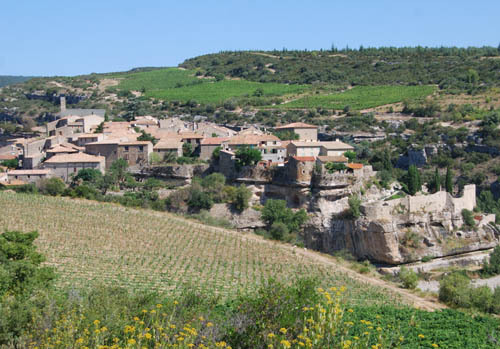 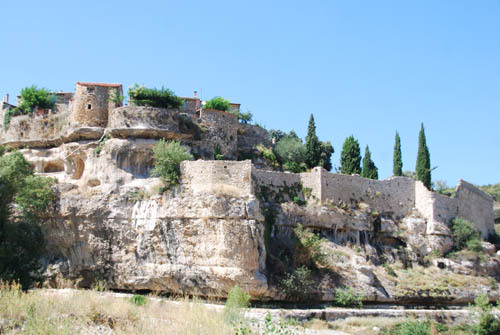 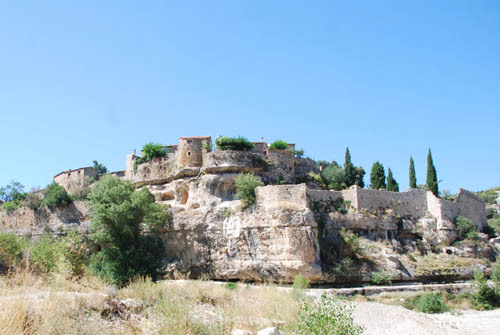 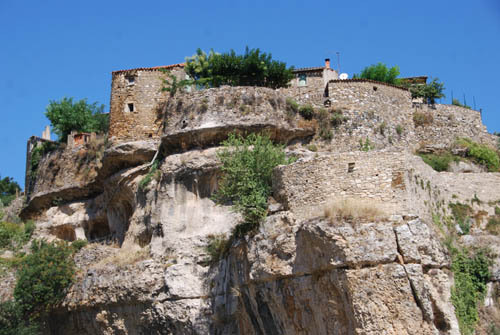 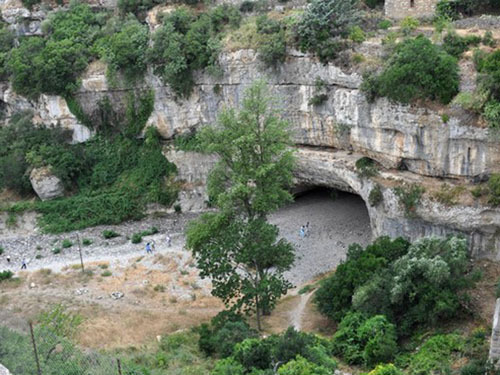 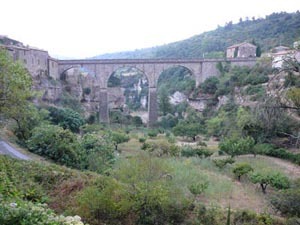 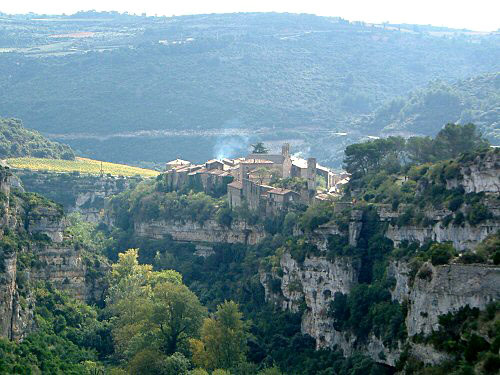 Minerve is located above the River Cesse in a naturally strong defensive position. 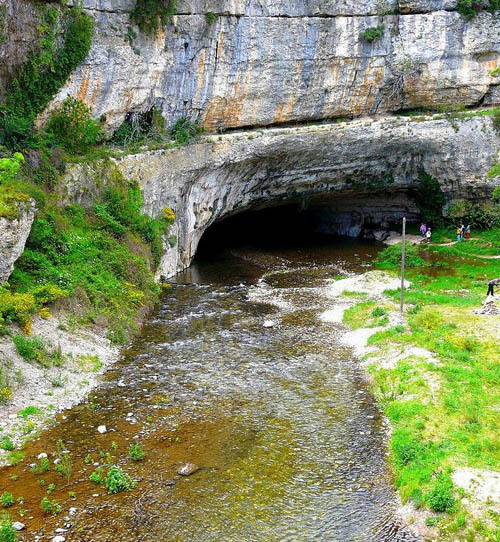 Near the village the river disappears underground in a large, natural tunnel. 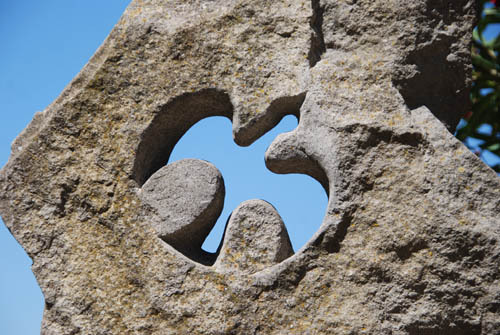 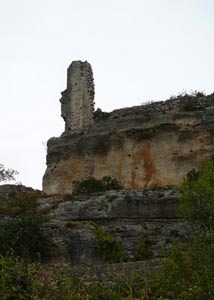 There are a few vestiges of the medieval castle remaining and some moving monuments to the Cathar martyrs. 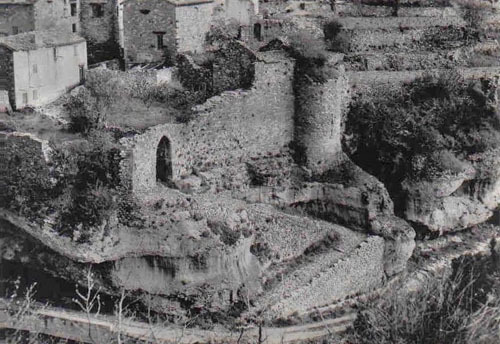 The village's antiquity is evident from its name, for a temple to the goddess Minerva once occupied the site. 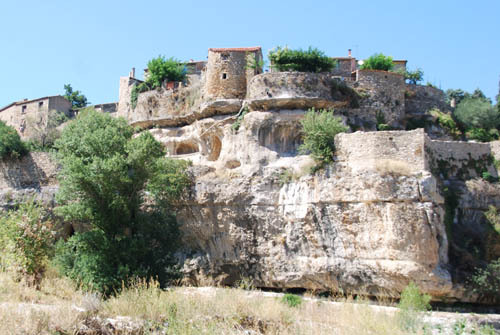 Minerve is located above the River Cesse in a naturally strong defensive position. 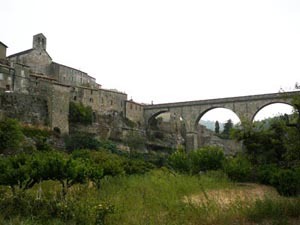 It was here that Cathars took refuge after the massacre of Béziers in 1209. 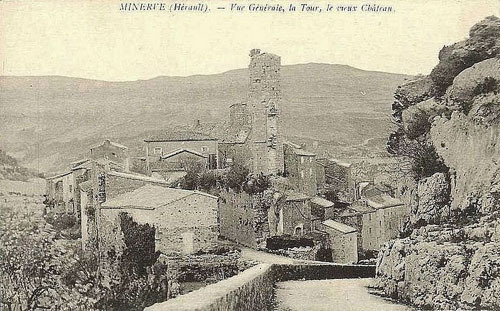 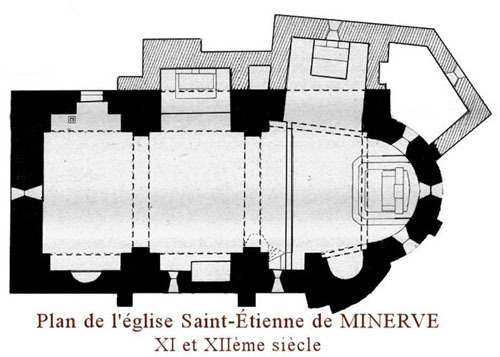 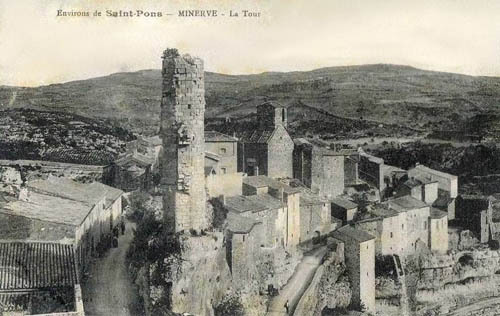 Minerve was surrendered to the Crusaders on 22 July 1210. 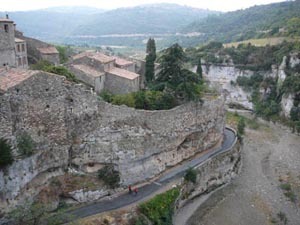 Guilhem saved the villagers but he could not save the Cathars who had taken refuge in the town. 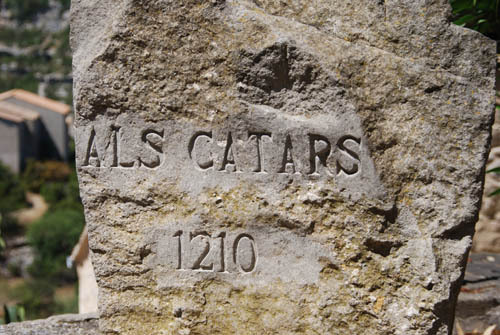 Some 150 to 180 Cathar Parfaits were burned alive when they refused to abjure their faith. 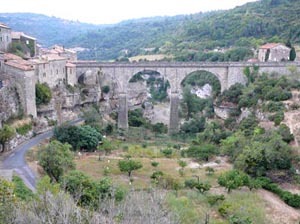 against Minerve, which lies towards to coast. 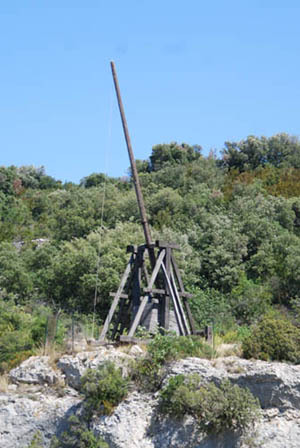 the queen and lady of all his siege engines. 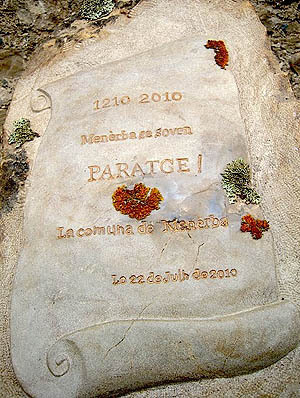 many a good penny they had cost and many a masmudina. 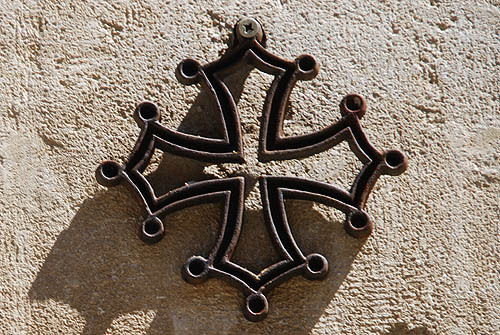 E sas autras peireiras e dona e reïna. 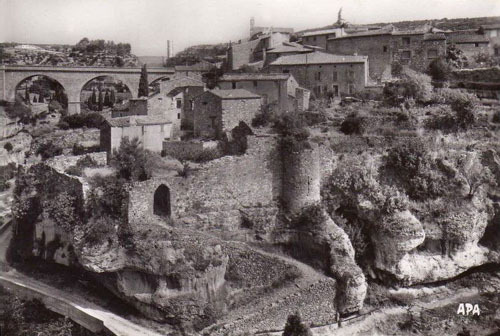 Que so faitz de mortier, d'arena e de caucina. 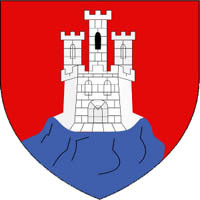 Mot bon denier costeron e mota masmudina. 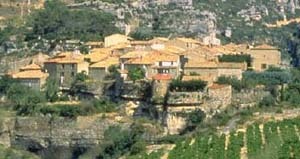 Estes en tôt entorn, per santa Katerina! 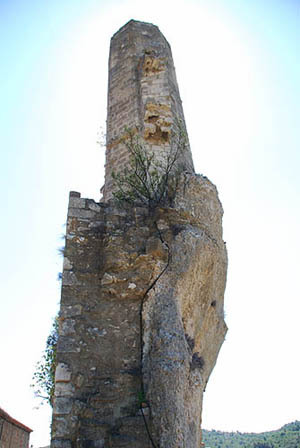 But stands, as God is my witness, on a high spur of rock. 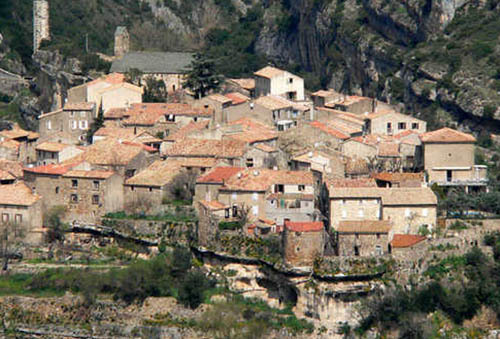 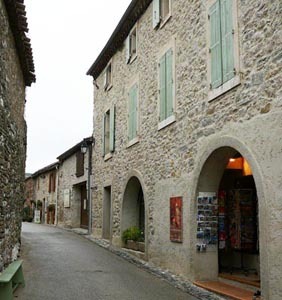 Except Cabaret and Termes at the head of Cerdagne. 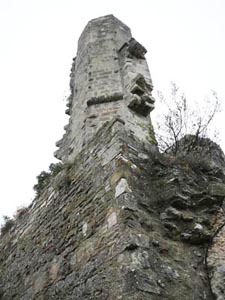 Shut up in the castle with his whole troop. 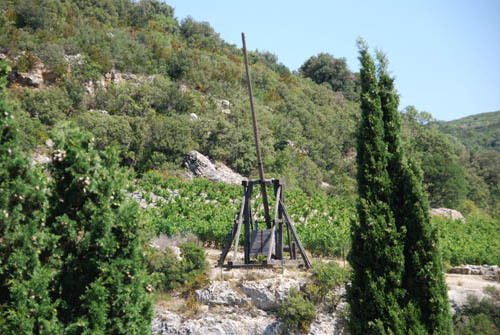 Drove them all out by force before the grain ripened. 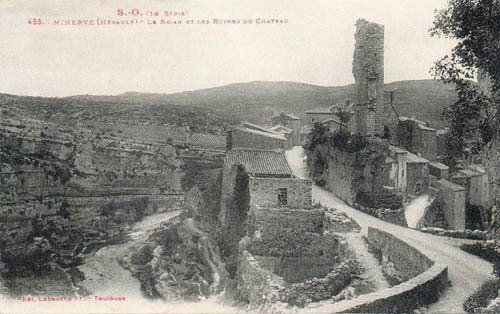 Frantic men and crazed women who shrieked among the flames. 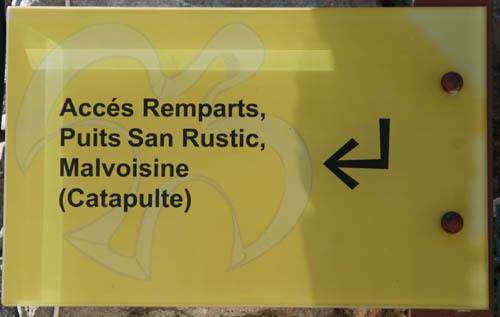 Not the value of chestnut was left to the survivors. 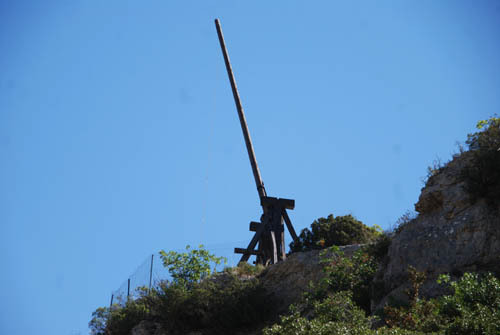 Should bother our foreign forces. 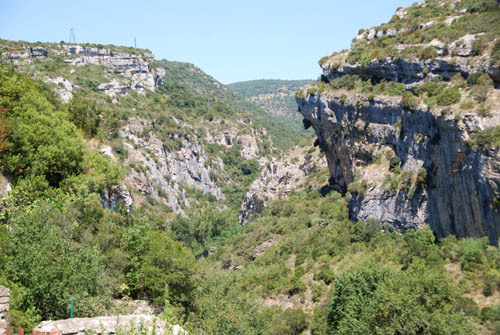 Fors Cabaretz e terme, qu'es el cab de Serdanha. 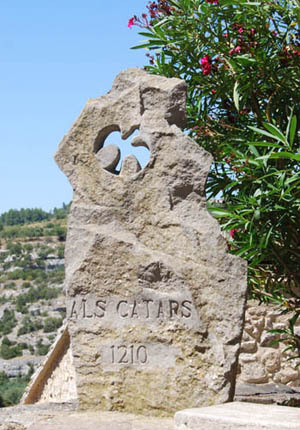 Laïns s'era el mes ab tota sa companha. 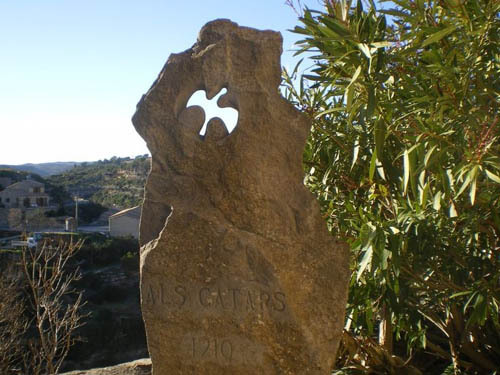 E mot fola eretga, que ins el foc reganha. 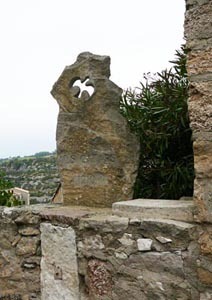 The Cistercian chronicler Vaux de Cernay noted that it was not necessary to throw the heretics into the flames, for they went voluntarily. 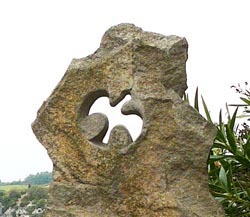 They claimed that "neither death nor life can separate us from the faith to which we are joined". 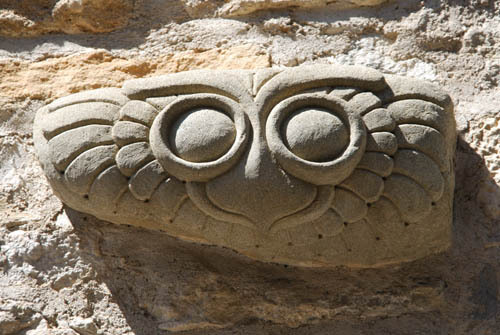 Their behaviour seems to have impressed some of their persecutors, but not enough to raise qualms about killing them. 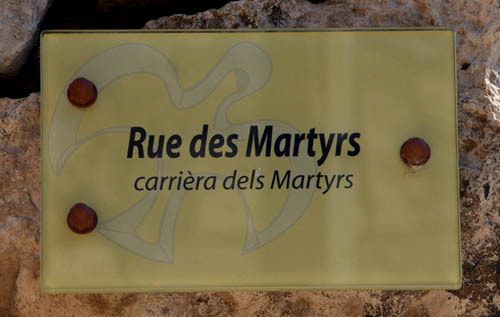 A strangely evocative plaque - shown on the right - commemorates the massacre. 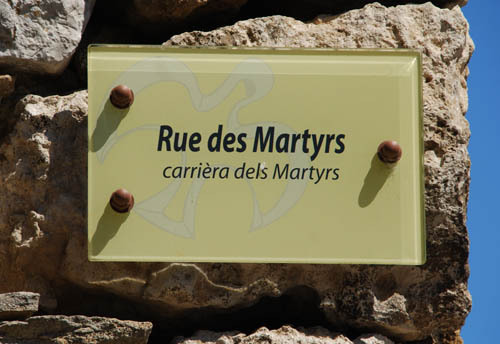 It says "Ici pour la foi Cathare 180 Parfaits sont morts par les flammes" - loosely, "Here, for the Cathar faith, 180 Parfaits were burned to death". 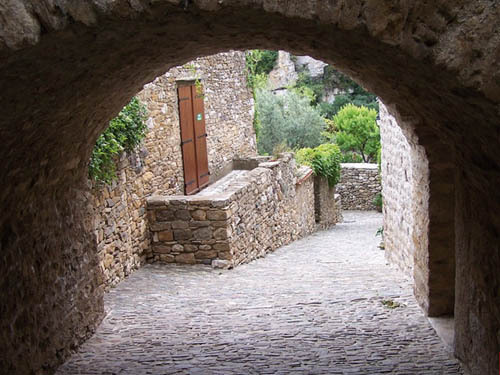 The town has kept its charm with its gates, the covered street leading to a well and its two walls. 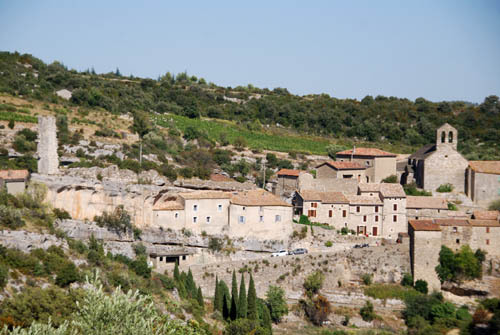 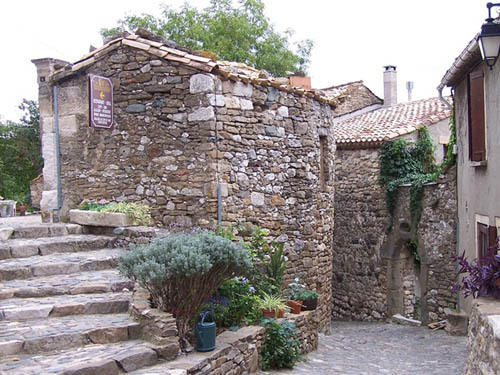 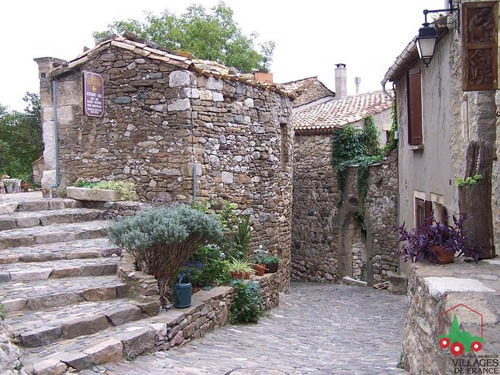 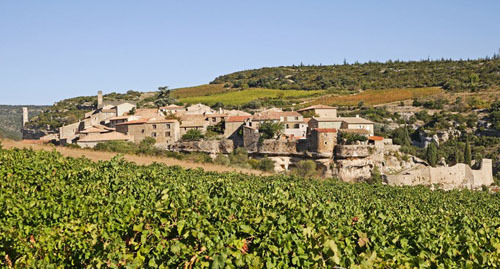 The village is the capital of the Minervois wine region, and is classified as one of Les Plus Beaux Villages de France (the "Most Beautiful Villages In France"). 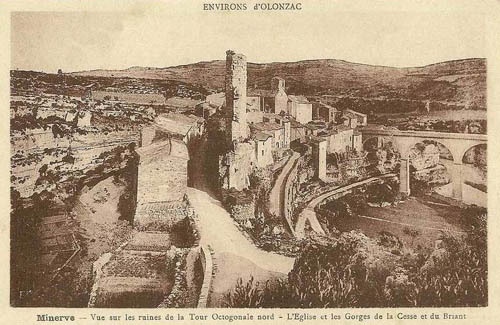 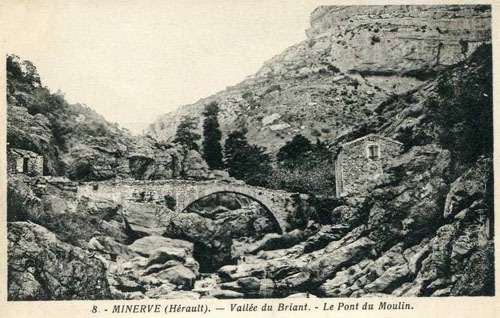 Pont du Moulin in theBrian Valley to the north of Minerve, postcard, 1910. 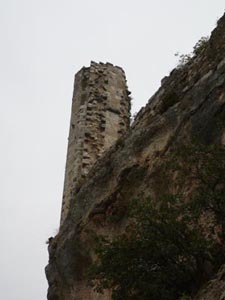 The only part of the "Cathar" castle still standing. 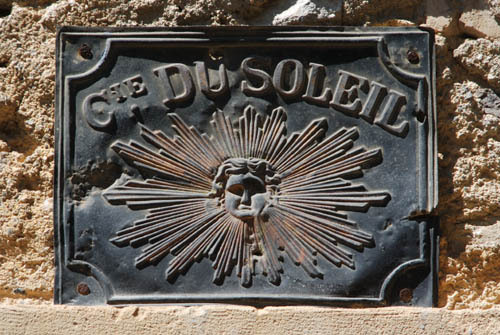 The flag of the Counts of Toulouse flies on the site.